On a Mission to #MakeSomedayHappen one delicious bite, sip and trip at a time! Let's talk great restaurants, one of a kind special events, bucket list foodie travel and easy entertaining tips and recipes. Summer Cocktail Season is here and you’re probably planning some fun gatherings with friends. 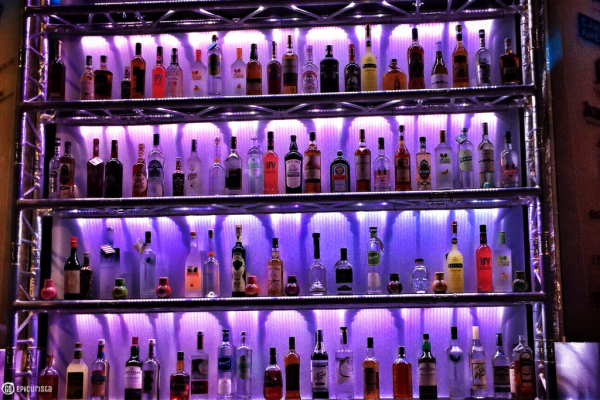 A great party requires great drinks, so a trip to your nearest liquor store is in order. To make buzz-worthy drinks you don’t need a lot of ingredients, what you do need is quality ingredients, especially as the latest trend is going back to classic, simple and elegant cocktails. Now the question is, what to buy? If you’ve ever stood in a liquor store looking at rows and rows of bottles and said to yourself “wow there’s a lot of choices”, or if you’ve ever wondered how all these different vodkas, gins, rums, whiskeys, tequilas and liqueurs come to market, let me tell you, it ain’t easy. And, choosing a good brand is not easy either. It requires a lot of tasting. I recently attended the Wine Spirits Wholesalers of America 72nd WSWA Convention held at Grande Lakes Orlando JW Marriott and Ritz-Carlton Hotels. It is the premier event where distributors seek out new and exciting beverage products to bring to your store shelves. 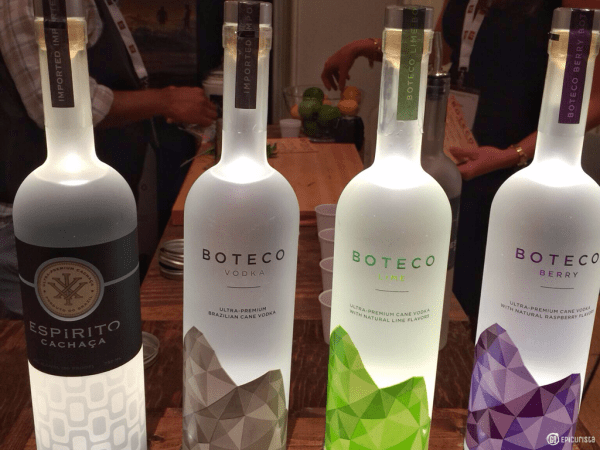 2,300 suppliers, wholesalers, mixologists and wine and spirits brands showcasing their newest and best products, were hard at work with tastings held everywhere from the exhibit hall, to gorgeous suites and spectacular receptions. I did my fair share of exploring (i.e tasting) to help you navigate those crowded liquor store shelves just in time for Summer Cocktail Season. I must tell you, I did not taste everything there – simply impossible – so I’m certain I missed some great ones. 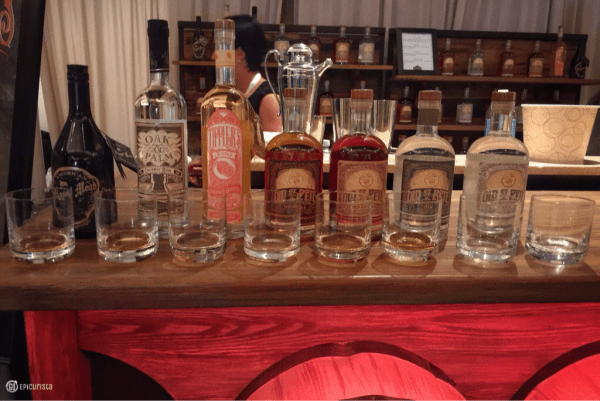 I’m sharing with you the most fun cocktails and exciting brands I tasted at WSWA. Some are new and others are long time favorites, all are certain to help you entertain and celebrate with friends this Summer (or anytime you want it to feel like Summer). A fabulous Summer cocktail must be refreshing with clean, bright flavors that can be enjoyed leisurely and keep you coming back for more. The Summer cocktail Recipes below not only meet that criteria, they may even inspire your next Summer vacation. Mojitos are old news. Here comes The Caipirinha. Brazil’s quintessential cocktail is perfect for Summer and is definitely trendy, appearing on Beverage Menus all across the country. 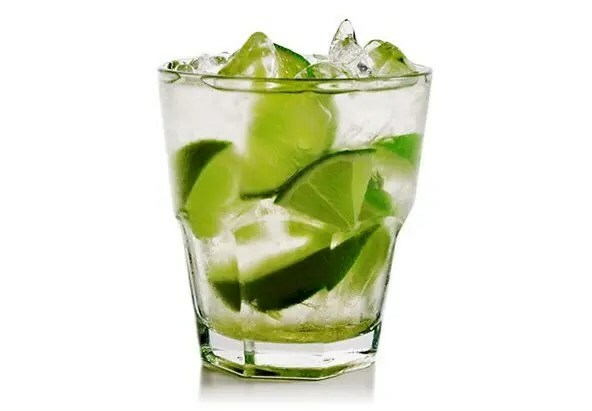 Cachaça, a Brazilian distilled spirit made from sugarcane juice, is mixed with muddled fresh limes and sugar for a refreshing drink, similar in style to a mojito but without mint. Brazilian Spirits for the Best Summer Cocktail! The key to a good caipirinha is the Cachaça. 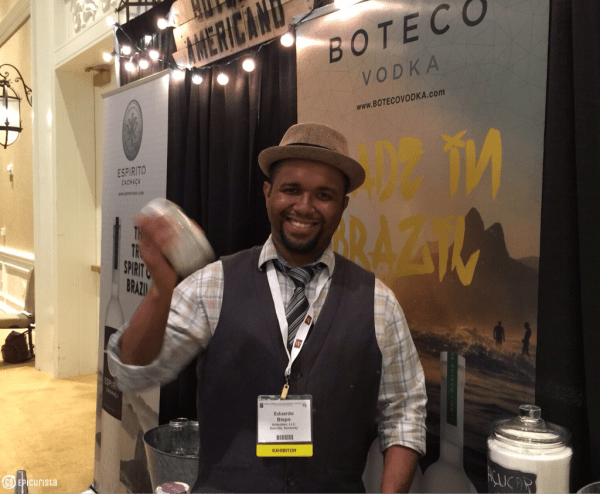 I sampled the Espirito XVI Ultra Premium Cachaça imported from Brazil by Ambrabev, winner of Double Gold Medals for Best in Show at WSWA. It is made in small batches using only the nectar of 100% fresh pressed Brazilian sugarcane and pure spring water from the mountains of Rio de Janeiro, resulting in a smooth, clean, and elegant spirit. Whereas most rums, also made from sugarcane, have a syrupy consistency, this Cachaça is lighter and crisper, perfect for those hot days ahead. Recipe courtesy of Espirito XVI. For more recipes visit their website. ^ Place lime and sugar in cocktail mixer and muddle. ^ Add Espirito XVI Cachaça, ice and shake. Like food, a cocktail can inspire travel to far-away destinations. The Boteco Lime Coco Fresca made me dream of being in Brazil, with the seductive samba music playing, warm breezes and the beautiful people all around. 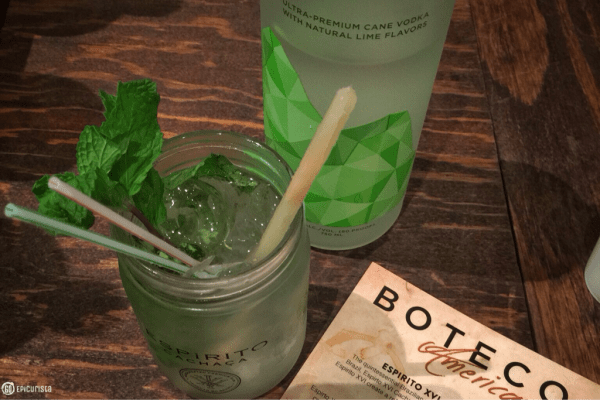 Made with Boteca Vodka, the only Brazilian ultra premium vodka available in the United States made from 100% fresh-pressed sugar cane. This vodka was smooth and easy to drink with hints of sweetness, quite different from its potato or grain based vodka cousins. It’s available unflavored and in berry and lime flavors. The Boteco Lime Coco Fresca was refreshing and light, and I loved it. I imagine this is what Brazil tastes like! 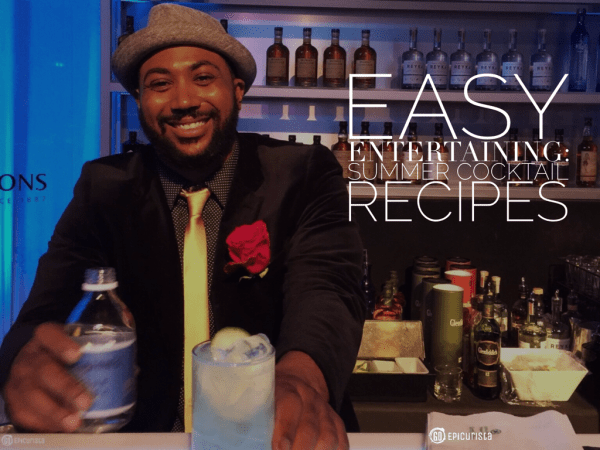 Recipe courtesy of Boteco Vodka. For more recipes, visit their website. As much as I like to travel, I also like to stay close to home in Florida. I was thrilled to find a new craft distillery that is only a couple of hours away, in Tampa Bay. Family owned and operated, St. Petersburg Distillery produces Sweet Corn Whiskey, Righteous Rum & Spice, Tropical Gin and Artisanal Vodka in the independent artisan tradition using copper pot stills that are over 70 years old and organic ingredients. All were of high quality, aromatic, smooth and easy to drink. Perfect for classic, clean and elegant cocktails. The small batch distilling trend is continuing full steam ahead. This was the tasting line up! ^ Old St. Pete Tropical Gin, had beautiful bright notes of citrus on the palate. You could smell and taste the grapefruit, orange, lemon & lime zest, with just a hint of juniper and spices. ^ Winner of Double Gold as Best Fruit Liqueur at WSWA, Tippler’s Orange Liqueur uses whole Florida temple oranges, peels and all, and when you smell and then taste all I could think of was a juicy ripe orange. It was nicely balanced, wonderful sweetness that was not cloying, with a hint of spice and floral notes. It is what I imagine Florida tastes like! Recipe courtesy of St. Petersburg Distillery. For more recipes, visit their website. 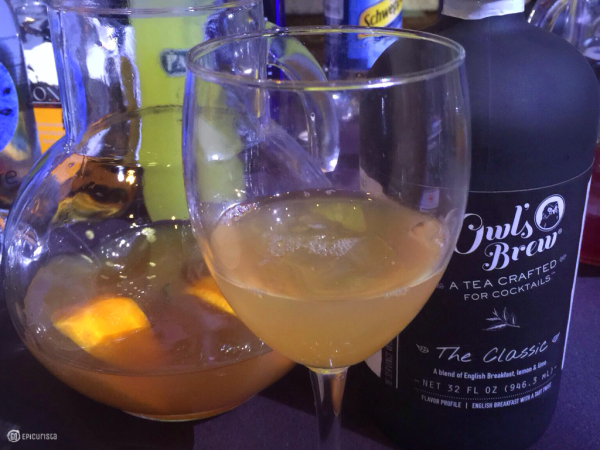 ^ Old St. Pete Righteous Rum & Spice is an elegant spiced rum. When I think of Summer, I think of relaxing in the Florida sun with pool or boat drinks, predominantly made with rum. This spiced rum gives a taste of the Caribbean with toffee, vanilla and a hint of sweetness and aromas of vanilla, cinnamon, dried oranges and baking spices. The Pirates of the Caribbean would have certainly been looking for this rum when they arrived in Tampa Bay. Tea is all the rage right now. A visit to the Southern parts of the United States is not complete without a tall glass of Iced Tea, Southerners preferred thirst quencher in the heat of Summer, however, making cocktails with tea has not always resulted in the tastiest of drinks, until now. 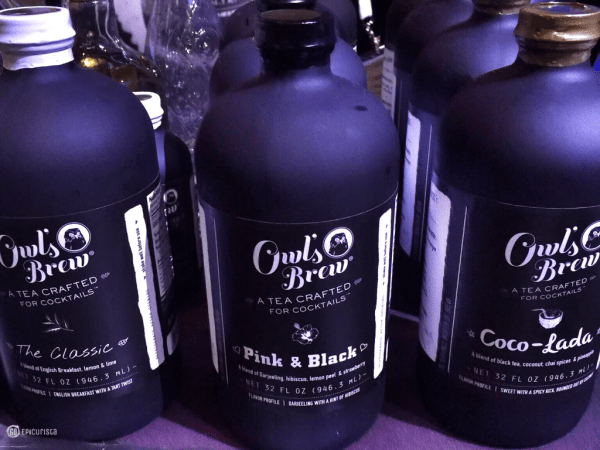 Owl’s Brew, a dynamic women-owned company, has crafted the perfect tea mixer for cocktails. How great is that? Fresh brewed from real, whole spices, fruits and herbs, with no artificial flavors or additives, these ready to pour mixers are a great way to create beautiful cocktails without a lot of work. Easy Entertaining at its best! You can mix your favorite spirits and even beer and wine with the unique flavors of tea and at only a third of the calories from other mixers on the market. I sampled their Coco-Lada, Pink & Black, The Classic and White & Vine and all were unique in their own way. ^ Owl’s Brew White & Vine, the newest flavor for Summer, made with white tea, pomegranate, lemon peel, and watermelon juice, provides clean, light flavors that pair well with tequila, bourbon, gin or wheat beer. I sampled it mixed with Azzurre Spirits gluten-free Gin for a delightfully refreshing and slightly fruity, but not overly sweet, cocktail. 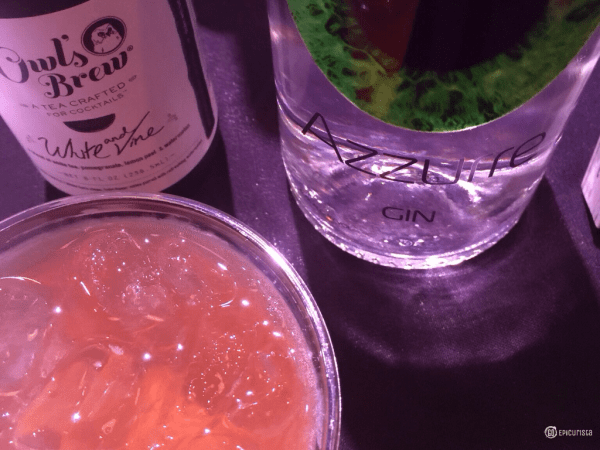 The Azzurre Spirits Gin, winner of Silver medal in the Best in Show competition at WSWA, is infused with juniper, tangerine peel, sweet basil, exotic spices and rose petal for a vibrant herbal citrusy notes and a hint of spice. Recipe courtesy of Cassandra Rosen of Azzurre Spirits. For more recipes, visit their website. 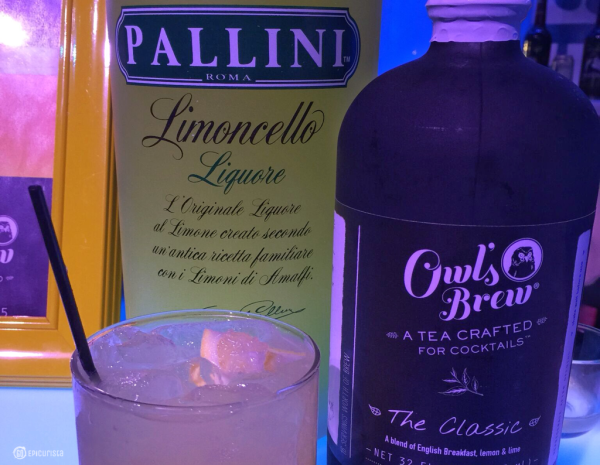 I loved that simply interchanging the Owl’s Brew mixer and Azzurre Spirit would create a whole new exciting cocktail, following the same recipe. Here they mixed Owl’s Brew Pink & Black with Azzurre Spirits Vodka. This cocktail had more pronounced berry flavors but was just as good. It was difficult to pick a favorite between these two so ultimately it is your preference whether you like gin or vodka better. 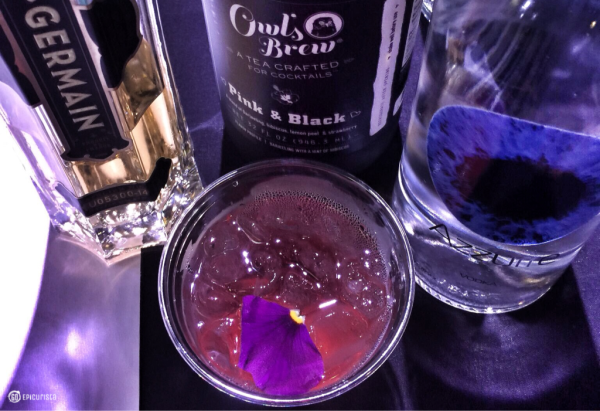 ^ Owl’s Brew ‘Pink & Black’, made with fresh-brewed black tea, strawberries, lemon peel and hibiscus and sweetened with pure agave, had a beautiful floral and fresh berry flavor without being syrupy. Paired with Azzurre Spirits Vodka, which is soft and clean with a hint of pineapple and creme brûlée on the nose and citrus and hazelnuts on the palate. Recipe courtesy of Owl’s Brew. For more recipes visit their website. If you love the taste of iced tea and lemonade combined, this is the cocktail for you. Owl’s Brew ‘The Classic’ offers your traditional blend of English Breakfast tea with lemon peel, sweetened with pure agave. Paired with Pallini Limoncello, a natural liqueur crafted by the Pallini family in Italy since 1875 using Sfumato lemons, indigenous of the Amalfi coast. It is a beautiful liqueur to enjoy on its own or to add vibrant, sweet tart lemon flavors to your cocktails. A trip to the Amalfi Coast of Italy has been on my Someday List for quite some time. 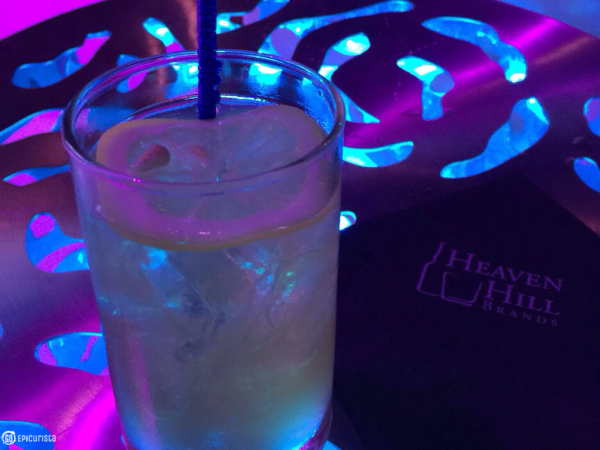 Until that day when I #MakeSomedayHappen, I will have to dream with this cocktail in hand. Florida Caribbean Distillers are the largest producers of rum in the U.S. They not only produce their fine line of flavored rums, Club Caribe Rum, as well as other spirits but they also bottle Cruzan rum and Ron Carlos. 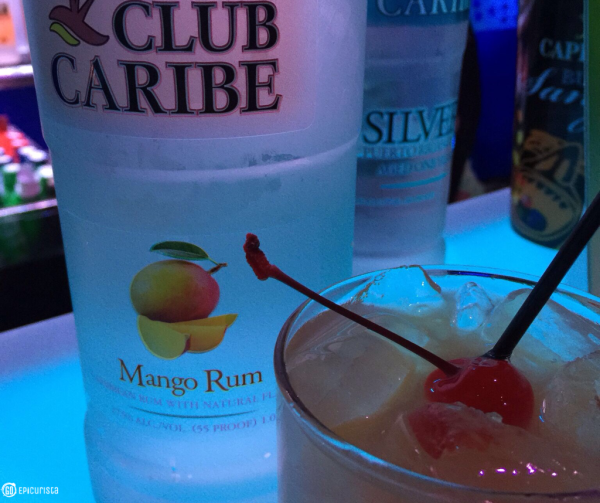 With two distilleries in Florida (Lake Alfred and Auburndale) and one Puerto Rico, you can say Club Caribe Rum has the perfect blend of Caribbean and Florida heritage to infuse your Summer Cocktail with dreams of gorgeous white sandy beaches, palm trees and sun. Club Caribe Mango Rum, Double Gold winner as best Flavored Rum at WSWA, has bright tropical candy flavors, great for Summer cocktail recipes. The traditional Madras cocktail made with vodka, gets a tropical makeover in this recipe using the Club Caribe Mango Rum. Mix up a batch of this tasty beverage and dream of your next Caribbean cruise vacation. I know I will. A taste of the Caribbean! Recipe courtesy of Florida Caribbean Distillers. For more recipes visit their website. You may not traditionally think of bourbon for your Summer cocktail, but bourbons and whiskeys are hot right now. Brown spirits have seen a resurgence over the past few years, showing the biggest sales growth in the U.S spirits market. Although purists will say you should never mix it with anything other than good ice, I credit mixologists everywhere who are having a bit of fun making unique cocktails and reinventing Prohibition era classics, as the ones responsible for their rise in fame, converting non-whiskey drinkers, like me, to the dark side. Bourbons and whiskeys offer a richness of flavor, sweet, woodsy, spicy notes that no other distilled spirit can offer. Heaven Hill, America’s largest independent family owned and operated distillery, based in Kentucky, has been producing the Elijah Craig 12 Year Old Small Batch Bourbon since before the term was popular. It was selected as Best Small Batch Bourbon, Best Bourbon and Best Whiskey In Show at WSWA. If you’re not a fan of fruity drinks and want something a bit more sophisticated at your next Soirée, this could be your next Summer cocktail. The blend of the ginger liqueur with fresh lemon juice and sweetness of the bourbon makes it quite enjoyable and easy to drink. Recipe courtesy of Heaven Hill Distilleries. For more recipes, visit their website. The curious blend of botanicals such as yarrow, elderflower, juniper, angelica root, orange peel, caraway, coriander, chamomille, and a few other secret ingredients, infused with rose and cucumber, makes this Scottish gin unlike any other. It’s produced by William Grant & Sons in small batches of 500 litres, for a smoother, gentler spirit with lots of character. If you are not a gin drinker, Hendrick’s Gin will convert you. If you thought gin always smelled like your grandma’s medicine cabinet, think again. I know I did. 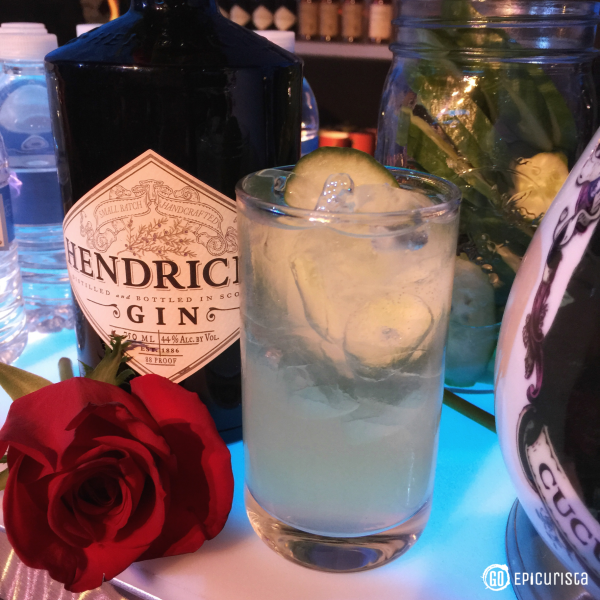 The unique flavors of Hendrick’s make it a refreshing favorite in cocktails. The traditional Gin and Tonic garnished, in this case, with their signature cucumber slice, is a crowd favorite. At WSWA, I sampled a lemonade concoction with a nice floral fresh herbaceous kick. I don’t have the recipe from Hendrick’s Gin, so here is my interpretation. They have some gorgeous recipes on their website that I look forward to tasting. 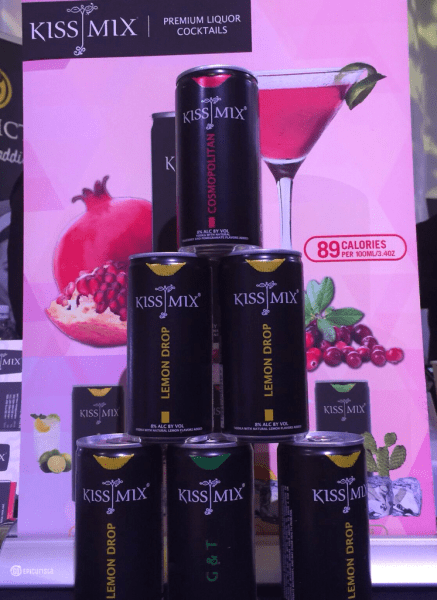 I discovered Kiss Mix in Miami and was reminded how much I enjoyed these little cans of perfectly prepared cocktails ready to GO, when I saw them again at WSWA. Whether you’re going to the beach, the pool or the park this Summer, these cans will make it a lot easier to entertain on the GO. Made in the UK with natural ingredients, including a double shot of quality spirits (not wine or malt based) mixed as they would in a bar, then packaged in cans for portable enjoyment. You can get a Cosmopolitan, Screwdriver, Margarita, Gin & Tonic, and Lemon Drop. And best of all, they are low-calorie (under 100!) and have zero fat! My favorites are the Lemon Drop and Cosmopolitan. For more information, check out their website. This is what Summer is all about! What’s your favorite Summer Cocktail? Please share in the comments below and let’s have a party. Invite your friends, make a batch of one of these fun cocktails and celebrate. Summer is here! Get the latest updates and don't miss out on the Go Epicurista Insider Experience! I'm Christina, a hospitality consultant, freelance writer, food & travel enthusiast, brand cheerleader, ice cream fanatic, chocoholic, and eternal optimist on a mission to #MakeSomedayHappen one delicious bite, sip and trip at a time. Celebrating life with great food, wine and friends throughout Central Florida and everywhere I GO! I want to inspire you to take time out of your busy schedule to do the same. GO celebrate life today, for someday may never come. Join me and GO Epicurista! Love this round up, and thanks for giving my recipes some love! 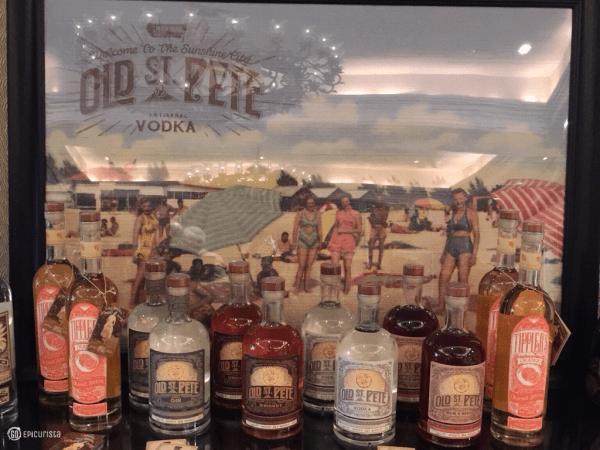 Can’t believe I haven’t been to St. Pete Distillery…will have to put that one on our list. Thanks Cassandra! I loved trying those recipes, they were perfect for Summer. I love how many local distilleries we now have in Florida. I can’t wait to go on a tour. Cheers! While I love my beer it is nice to mix it up a bit. I’ve been trying to do more beer cocktails. It’s nice to see more distilleries popping up in Florida. Going local is great. I’ll have to keep my eye open for KissMix. Like the low calorie serving and you can enjoy them in so many places. Kelli I have gotten into beer this past year too, thanks to The Lady Crafters of Orlando ;), and I’ve seen some fun beer cocktail recipes. There are several local Florida distilleries producing some great quality spirits and some even offer classes and tours which I look forward to checking out this Summer. 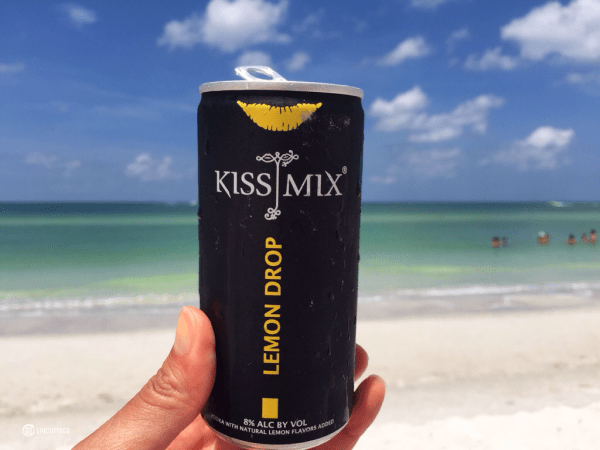 The Kiss-Mix cocktails are a great find because they don’t have that syrupy /malty taste that many To-Go cocktails have. Plus there are times when mixing a cocktail is just not feasible so the little cans come in handy. Have a tasty Summer! Cheers! Are you ready to GO Epicurista? Get the latest updates delivered to your mailbox and don't miss out on the GO Epicurista Insider Experience! Proud to be a 2019 CK Mondavi Ambassador! Follow #CKMondaviAmbassador and #CKMondaviWines for recipes and wine pairing tips. Don’t put off enjoying life with friends until someday. #MakeSomedayHappen Go Epicurista! Contact me if you’re interested in collaborating with Go Epicurista on special food and wine events, hospitality digital marketing and social media consulting, restaurant & event reviews, travel product reviews, or to create a customized Go Epicurista Insider Experience for your friends, clients or employees. The possibilities are endless!